Daniele is a canal barge that was refurbished before a relaunch in August 2016. 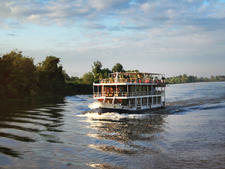 The ships sail through Burgundy in France and can accommodate a maximum of 22 passengers. There are 11 twin cabins, each equipped with a window and private bathroom. Other features include climate controls as well as a safe, radio, phone for on-ship calls and a satellite TV for use when the ship is not sailing. Onboard amenities include a lounge/bar, restaurant and sun deck with lounges and umbrellas. You'll also find a little terrace in front of the lounge with a few tables and chairs and a barbecue area. This is the deck travelers can use while the ship is sailing. The sun deck is not available at that time because of low bridges. Lunch and dinner can also be served on the terrace if weather allows. There is a Jacuzzi at the prow of the barge. Passengers can use free bicycles that are stowed onboard for excursions. Wi-Fi is available in the common area and is also free to use. Daniele runs is an eight-day itinerary departing from and returning to Dijon, France. Light walking and hiking are part of the itinerary. This cruise is popular with travelers from North America, Australia and New Zealand. 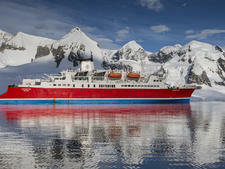 Expedition, G Adventures' sole company-owned ship, was fully refurbished and converted into an expedition cruise ship in 2009 at a cost of $13 million. 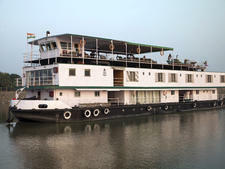 Launched in 2006, Varuna is a 131-foot riverboat exploring the Ganges River in India. It can accommodate up to 24 passengers. Launched in 1994 and renovated in 2011, triple-deck, hardwood and steel Amatista accommodates 30 passengers on the Amazon River. 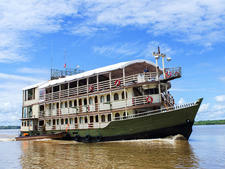 Launched in 2008, Toum Tiou II is a 125-foot vessel which can accommodate up to 28 passengers for sailings along the Mekong River in Cambodia and Vietnam.